While the Fine Arts Center’s Theatre Company is celebrating 25 years of musicals, comedies and dramas, Roberta Jacyshyn is preparing to retire after being involved in the FAC’s musical theatre productions for close to 30 years. 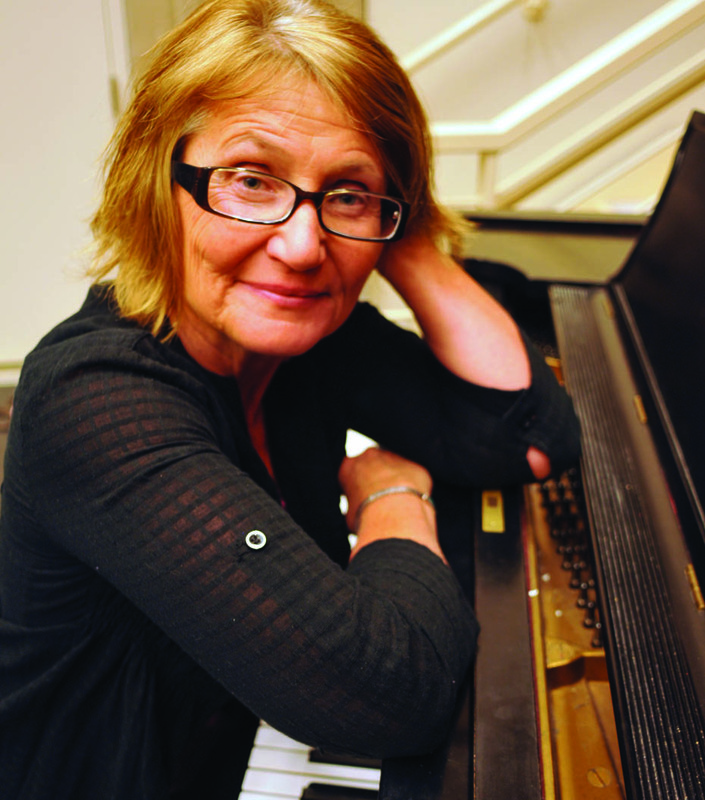 Jacyshyn was part of the FAC’s first Theatre Company production in 1988, and has performed in every theatre season since, serving as Musical Director since the 1990s. How did you first become involved with the Fine Arts Center? I moved to the Springs in 1983, and first became involved with the Fine Arts Center when I was an accompanist for Bye Bye Birdie, my first show in 1985. This was before the Rep was conceived. I have always loved musical theatre and dreamed of being a music director. That was my motivation to do theatre at the FAC. What is one highlight from your career you are especially fond of? Which collaborations stand out as Music Director? My favorite collaborations include five years with Sandy Bray when she was Performing Arts Director and five years with Alan Osburn when he was Performing Arts Director. Over that 10-year time period, we did some huge productions, Chicago, Into the Woods, Sweeney Todd, Singing in the Rain, Anything Goes, The Full Monty, La Cage Aux Failles. I have seen the theatre grow from community theatre over the years to its current semiprofessional status to include Equity Actors. What are some other favorite moments? Favorite moments include Alan Osburn and Thad Valdez singing Pretty Women, Michael Gold as The Music Man. I have to mention that we have incredible actors, and amazing musicians that I have had the honor to work with over the past 25 years. What are your thoughts on the Silver Theatre Season? I look forward to the upcoming season as I have the opportunity to music direct Gypsy. This will be my last show at the FAC. I have enjoyed being a part of theatre for close to 30 years, and I am very grateful and blessed. What plans do you envision for the future? Subscribe Today! | Buy Tickets!